Kick off your visit on the 21st (Sun): enjoy the sea views from Archipelago National Park. On the 22nd (Mon), you'll have a packed day of sightseeing: admire the masterpieces at Soderlangvik and then look for all kinds of wild species at Oro. To see traveler tips, photos, reviews, and other tourist information, refer to the Kimito Island road trip planning app . Boston, USA to Kimito Island is an approximately 17-hour flight. The time zone difference when traveling from Boston to Kimito Island is 7 hours. Prepare for little chillier weather when traveling from Boston in July: high temperatures in Kimito Island hover around 71°F and lows are around 52°F. Cap off your sightseeing on the 22nd (Mon) early enough to go by car to Turku. Visiting The Archipelago Trail and Vepsa Island will get you outdoors. 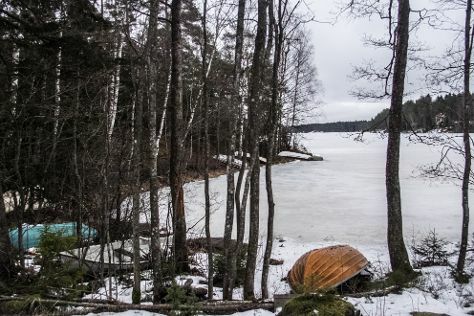 Step off the beaten path and head to Louhisaari Manor and Ispoinen Beach and Sauna. The adventure continues: see the interesting displays at Luostarinmaki Handicrafts Museum, get engrossed in the history at Turku Castle, explore the world behind art at Ett Hem Museum, and delve into the distant past at Aboa Vetus & Ars Nova. To see more things to do, photos, reviews, and more tourist information, read Turku day trip planning tool . Drive from Kimito Island to Turku in 1.5 hours. Alternatively, you can take a bus. Expect a daytime high around 70°F in July, and nighttime lows around 52°F. Wrap up your sightseeing on the 26th (Fri) early enough to travel to Poytya. Pöytyä is a municipality of Finland located in the Southwest Finland region.The municipality has a population of and covers an area of of which is water. Kick off your visit on the 27th (Sat): hike along Kurjenrahka National Park. For more things to do, maps, where to stay, and other tourist information, use the Poytya holiday site . Traveling by car from Turku to Poytya takes an hour. In July, plan for daily highs up to 70°F, and evening lows to 52°F. Wrap up your sightseeing by early afternoon on the 27th (Sat) to allow enough time to travel to Uusikaupunki. On the 28th (Sun), pause for some serene contemplation at Uusikaupunki Old Church, examine the collection at Bonk Museum, and then see the interesting displays at Automobile Museum. For reviews, where to stay, and other tourist information, read our Uusikaupunki trip planner . Traveling by car from Poytya to Uusikaupunki takes 1.5 hours. In July, daytime highs in Uusikaupunki are 70°F, while nighttime lows are 52°F. Finish up your sightseeing early on the 28th (Sun) so you can travel to Rosala. Start off your visit on the 29th (Mon): enjoy the sea views from Bengtskar Lighthouse and then examine the collection at Rosala Viking Centre. To see ratings, reviews, traveler tips, and other tourist information, read our Rosala vacation builder app . Traveling by car from Uusikaupunki to Rosala takes 3.5 hours. Expect a daytime high around 70°F in July, and nighttime lows around 52°F. On the 29th (Mon), wrap the sightseeing up by early afternoon so you can travel to Pernio. Perniö is a former municipality of Finland. On the 30th (Tue), explore the striking landscape of Teijo national park. On the next day, experience rural life at Ruukin kehräämö ja puoti Oy and then sample the tasty concoctions at Mathildedalin Kylapanimo. For ratings, more things to do, photos, and more tourist information, refer to the Pernio trip maker app . Traveling by car from Rosala to Pernio takes 2 hours. July in Pernio sees daily highs of 71°F and lows of 52°F at night. Wrap up your sightseeing by early afternoon on the 31st (Wed) to allow enough time to travel back home.